At Basilic Essentially Thai, We are not a big fan of cut corner on food preparation and quality. We are sourcing for quality products everyday from local market. We believe good quality products make the food speak for itself. Therefore, every recipes here at Basilic are special. You might think it is simple Thai but its not. 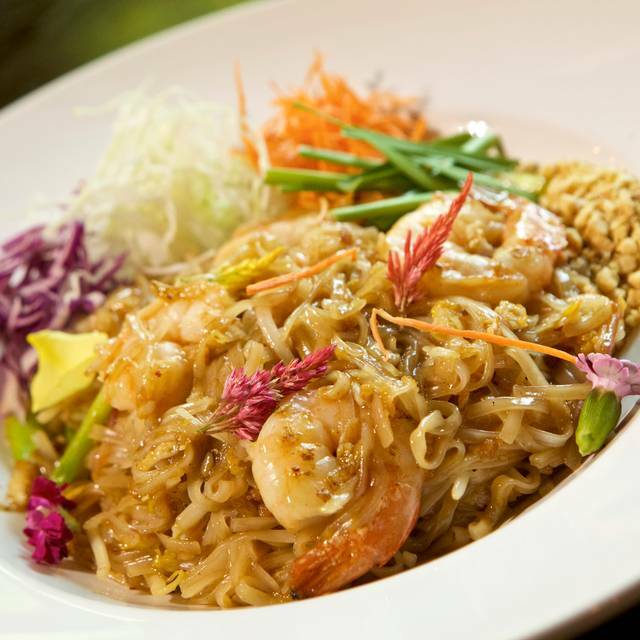 We are Experience Thai Chef that Seattle Culinary Graduated, So we combine local ingredients into our Thai recipes. We are not try to cater to western instead we are putting our culinary passion into our food. Good Thai food ! We enjoyed our lunch here. The Phad Thai tasted more like the dish we get in Thailand than most Seattle Thai restaurants. We also had a nice lamb curry which was a daily special with a nice tang of tamarind to it. A very nice Thai restaurant to enjoy before an event at the Seattle Center and McCaw Hall. The food was fresh and delicious . The service was attentive and efficient. The menu is varied. Yes, we will return again and again. Your food is always wonderful but there usually seems to be a lag once we are seated at the table before the menu or suggestions for a beverage are made. A concern as to whether food will arrive in time for usual events at Seattle Center often occurs, but the food is worth waiting for! Comfortable, laid-back restaurant where we were assured there'd be plenty of time to get to the opera. Service wasn't great. Trying to make it to the theater and they kept overlooking us. Really enjoyable place and has become our go-to destination before performances at Seattle Center. Went there with our 6 year old boys for a Saturday dinner. We liked the intimate setting, and were thrilled with the food. Even though they don't have a kids menu our boys chowed on the orange chicken and chicken pad thai. The beef was really yummy, too, the only dish not quite up to par was, ironically, the daily special, sea bass, which was overdone and also a bit uninspired. Service was great, very friendly and helpful staff. Thank you! We were back and loved our dinner. Christmas special event, Nutcracker Ballet. I stopped in with my daughters for a pre-ballet meal. The service was nice but the food wasn't as good as I expected. Salad special of shrimp and avocado was overdressed and the noodles were gummy. It wasn't all that busy and I really wanted to like it. Unfortunately, it was only average. Good, solid Thai food. They need to up their bar game, though. The night I was there, the one bartender they have was off sick. Nobody else knew how to make even the most basic of cocktails. The wine list is pathetic. Fabulous authentic Thai food, great location to walk to the McCall Hall to see a show. I love this Thai restaurant. It is in a cute old house. It has interesting and delicious cocktails. When you make a reservation they put a little reserved card on your table with your name on it. You really feel special! Besides the food is excellent! Food was modern and the service was great. We went before the performance at the McCaw Hall. Wine pours were amazingly generous. This will be on our list of pre-performance dinner eats. This was our first visit to Basilic and we'll be back. 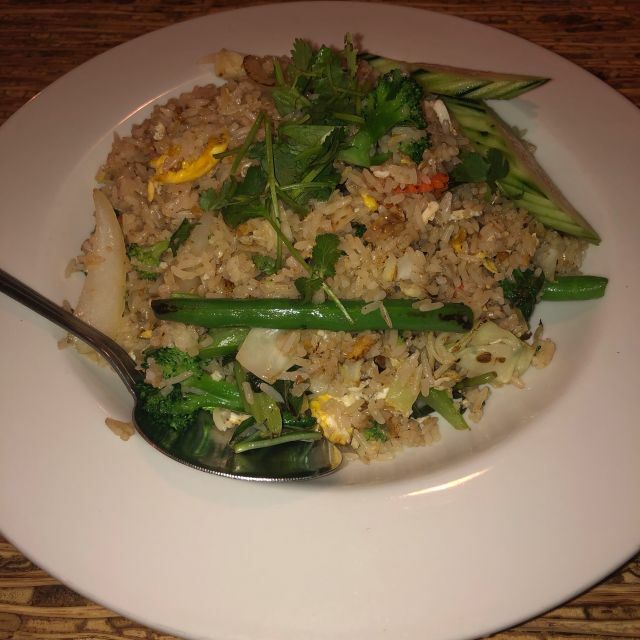 We have had Thai food in many restaurants in Puget Sound and we found Basilic to be the best overall Thai experience we had. One of the challenging things, yet very basic, about getting the Thai food you want is having an accurate idea of how spicy the food is going to be when you give the 1-5 star order to your server. We had a lemongrass marinated chicken wing appetizer and also some Thai short ribs. Both were 3 stars and were spiced accordingly. We would do the ribs again but the Chicken wings were a little bland for our taste. We followed that with a 4 star Tom Yum soup and it was definitely 4 stars but loaded with flavor. Finally we finished with Sesame Honeyed Beef at 3 stars and the sweetness and the heat provided a good contrast. The wine list is small but pretty good. My Lone comment would be to add a Riesling to it because of the natural compliment between that and Thai food. I have dined at Basilic twice and the food was great each time. Every selection has been authentic and reminds me of my trips to Thailand. I am definitely going back! Went here for an early dinner before the opera with my 80 year old mother. The portions are generous - we each got an entree and decided in the future we would share one. Nice ambiance with meals served on antique china and nice jazz music background. Service attentive. We will definitely return another time! Lovely meal. The Tom Yum Soup was spiced just right, as was the lamb green curry. Learn moo salad was very nice also; all orders served two more than amply. Friendly, interested service. Will definitely return! Great option before/after performances at McCaw Hall. We have gone back several times and will continue returning. Everything was very tasty! It was pretty relaxed inside, which we like. Things were on the spicy side but they did warn us. BEST Thai food Ever!!! All the dishes we ordered were excellent. Lovely service. What a great surprise Basilico was! The food was delicious, the service kind & attentive - and there was no crowd at all. It's a fairly new restaurant - so we didn't know what to expect. All of us were delighted with our lunch there. I highly recommend this little gem of a place. Went to Seattle for a concert and reserved a table for two. I love Thai food. This has the most vibrant flavors I’ve tasted. I will drive the two hours it takes just to have chicken satay, pork phad Thai 5 star spicy with Thai iced coffee. The peanut sauce was to die for. Full of flavor and I had enough leftover for my phad Thai. I had enough phad Thai for two meals. I didn’t leave hungry that’s for sure. I will be back. The staff was very friendly and attentive. The food was very tasty, and the portions were generous! Will definitely be back. Service was awful. Took over half an hour to get a drink. Had to ask numerous times. Food okay. Stuffy, hot. So happy I found this restaurant -- and so convenient to the Seattle Center too!! Food was very tasty, portions were large (each of us took 1/2 of our meals home for another day), prices were reasonable. Definitely we'll return. Had a reservation and were seated in timely manner then waited over 15 minutes to take drink order. Seemed understaffed. Then all four us agreed that the good was excellent. A terrible car accident made us late for our reservation. I called ahead to let them know we'd be late and they held our table for us. Knowing that we were going to the ballet, the service was prompt but not rushed. All our food selections were fresh and flavorful and served hot. All the staff was friendly and professional. We will dine there again, especially to try more items on their menu. This is not your typical Thai food. The flavors are unique in every way. Served on antique china as well. We arrived early for our reservation. They had no problem seating us early. In addition, we found we arrived before happy hour ended so their very good happy hour prices were also in effect. We were a bit early in the evening so they didn't have too many customers yet. Maybe that was why the service and food was prompt and they seemed to go out of their way to make sure everything went well. We shared the Lobster Phad Thai and the Avocado Salad with Chicken. Both were excellent. I definitely will be going there again. This was our first visit to this relatively new restaurant. Food was good, service average, but prices were surprisingly low. One of the very best Thai places I have tried in a while. They even tailored my dish to my taste. Will be going back here a lot. Thanks. What a wonderful meal and a wonderful experience. The service was attentive and the food was amazing and inventive. We will be back! The food is amazing. Very different than the Thai you are used to. They will also alter any item to fit your needs. Green curry sauce, which is kinda my measurement of good Thai. I want to try everything on the menu! Great find for a place to eat. Wonderful menu, service and prices. Very great place to eat before an event at the Seattle Center. Food was fresh and fantastic! YUM, will definitely return! Great place to eat before the opera! The food was tasty. The staff was attentive. There’s a nice selection of tapas for happy hour. I got a nice pour of red wine for my money. Overall, I enjoyed my meal, both in presentation and price.